A mythic tale exploring the ecological costs of energy. Inspired by the 2010 BP oil spill in the Gulf of Mexico, this free-wheeling allegory leapfrogs through events in earth’s evolutionary history, from inventive one-celled microbes to modern hominid inventors. The story follows an Egyptian immigrant couple, Isis and Osiris, who run a Soup-of-the-Day shop on the Gulf Coast. From their ancient rounds of planting, harvesting, cooking and composting, Isis and Osiris feed generations of workers sent to gather fuel. 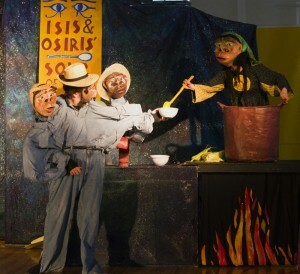 Plays-within-the-play depict the rise and fall of civilizations propelled by various fuels. As new cultures scour the earth to keep their fires burning, Isis and Osiris carry-on within cycles of fertility and renewal. Suddenly, an oil rig explosion creates an ecological disaster, and the unlikely pair must summon all their rusty mythological powers to cheat death and revive the waters of life. 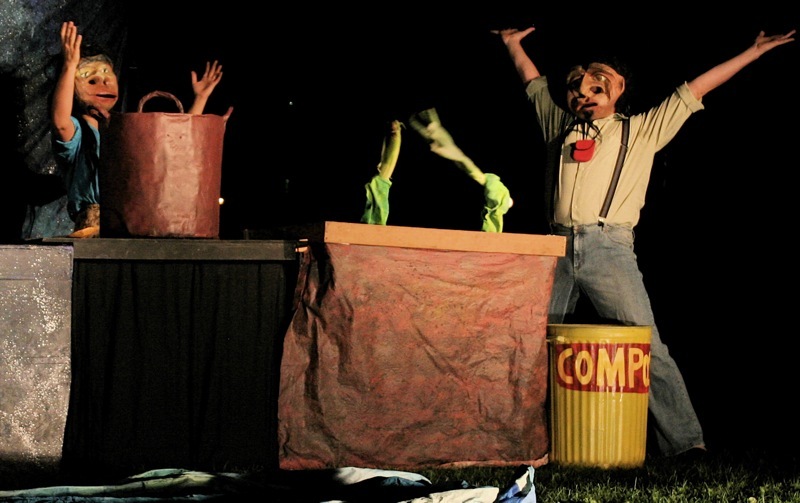 TO FUEL THE FIRE was originally developed as our 2010 Esopus Creek Puppet Suite. The show is 65 minutes in length, and presented by a five-person company. 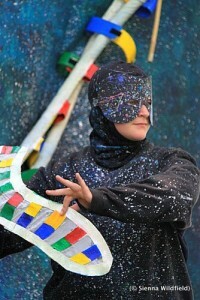 Performance credits include SUNY Ulster, Stone Ridge, NY ; PS 21, Chatham, NY ; & the 2011 Clearwater Festival. Watch a short video from To Fuel The Fire. You can DOWNLOAD To Fuel the Fire flyer. View a portfolio of great photos from our 2011 performance of To Fuel The Fire at PS21.